As much as it’s unclear who fits in the Canucks top six forwards, the rest of the team’s forward group is even more up in the air. Projecting the Canucks starting lineup up front on opening night is far from a sure thing. With about ten forwards whose spots should be solidified in the lineup, the team looks to have as many as eight players vying for the final forward spots. And that isn’t necessarily fourth line roles; granted they make the team, players such as Jake Virtanen could bump higher up in the lineup and push down other forwards who seem to already have a guaranteed role. Who Fits as Vancouver’s Depth Forwards? The Canucks fourth line last year featured Ronalds Kenins, Bo Horvat and Jannik Hansen for most of the second half , who averaged 12:16, 12:15 and 13:58 in ice time per game, respectively. The ice time was averaged out between Vancouver’s depth forwards much more than most teams, and there was speculation that statistically the Canucks had three third lines. Kenins may remain in his role on the fourth line, Horvat projects to be the team’s third line center and Hansen could play a role on either the third or fourth line. The other obvious right wing option next to Hansen on the depth chart is Derek Dorsett, who spent a good deal of time on the third line last season. Dorsett, who was third in penalty minutes and second in fighting majors last season, checks hard and is a much better skater than the average enforcer. 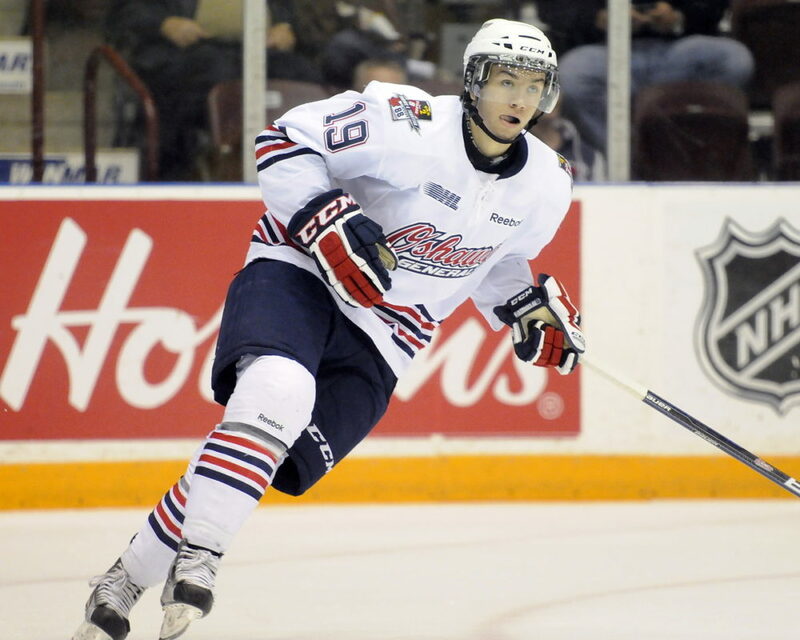 He’ll likely play on the Canucks third line to spread out the toughness with Brandon Prust in the lineup. The left winger Prust was sixth in penalty minutes and third in fighting majors behind Dorsett last year, and should spend most of his time on the fourth line. The Canucks left side may be in question more than anywhere else in the lineup. Behind Daniel Sedin on the first line, the group includes Chris Higgins, Sven Baertschi, Prust and Kenins as viable options. Baertschi is the most skilled and will get a chance to earn a permanent spot on the second line, while Higgins should best fit a third line role and Prust is suited only as a fourth liner. And with Kenins in the mix, who brought a good deal of skill and energy in a checking line role last year, it’s a predicament to conclude who rounds out the Canucks left wing. Higgins played as low as the fourth line last year against the Calgary Flames in the playoffs, but could play as high as the second line depending on how Baertschi produces. Kenins looks ready to take on a full time role in the NHL but may end up splitting time with Prust on the fourth line, as Kenins brings more talent while Prust brings more toughness and veteran leadership. Who is Vancouver’s Fourth Center? Linden Vey seems most likely to center the fourth line, but the Canucks have no shortage of options. Vey had 10 goals and 24 points last season in 75 games, averaging 13:10 in ice time and playing regular minutes on the second powerplay unit. He’s a natural right winger but can shift to center to fill the spot. Brendan Gaunce should also get some looks from the Canucks. The natural center Gaunce could bump Vey to be the probable fourth line center, depending on his performance in training camp. “If he continues to improve he’s a guy that maybe can come in and challenge for a spot at training camp, but that’s going to be up to him” – Jim Benning. Apart from Vey, Gaunce and Grenier, there’s a number of prospects who may prove to be ready to make the jump to the NHL and work their way up, similar to Horvat in 2014-15. While the Canucks are already stocked in forward depth, they may have just as many assets in prospects, and can’t rule out the chance at a number of young players making the team. With the likes of Virtanen, Cassels, McCann, Gaunce, Vey, and Kenins among others, the Canucks certainly aren’t slim on options. Benning has already made it clear that he thinks Virtanen has a good chance to crack the Canucks lineup to start the season. The sixth overall pick in 2014 has loads of talent, but Vancouver’s lineup isn’t equally as loaded with room. At 19 years old, Virtanen won’t continue to develop if he’s in and out of a depth role with Vancouver. The winger may play up to nine games with the Canucks to start the year, but is likely to eventually be sent back to the WHL for his overage season. Center Cole Cassels is in a position similar to Virtanen. 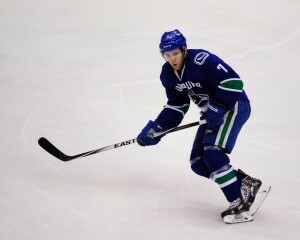 Cassels, however, is a year older and would be sent to the Comets if he doesn’t stay with the Canucks, meaning granted any injuries the Canucks could call him up during the season. 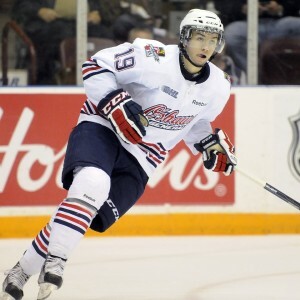 Cassels made great strides in his overage junior season in the OHL, and could push for the fourth center spot in Vancouver. And if the competition wasn’t already tight enough, 19 year-old center Jared McCann will also get his shot to impress in training camp. McCann is already in Vancouver preparing for the Canucks training camp, which begins September 17. Like Virtanen, he may start the year with the Canucks before being sent back down to his junior club, the Soo Greyhounds in the OHL. But the 24th overall pick in 2014 has set the bar high for himself. “My goal is to play at the highest level possible this season and that’s the Vancouver Canucks… I’ll go to camp, work as hard as I can and see what happens. Everything I do right now is focused on making Vancouver.” – Jared McCann. 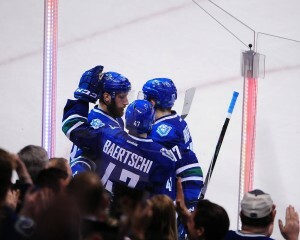 It’s no surprise that a Canucks’ offseason which has been full of question marks on the forwards end will translate into some tough decisions into the beginning of the regular season. There’s no shortage of depth forwards and prospects on the bubble, and Benning, coach Willie Desjardins and the Canucks brass will be busy all the way until the season starts. With so many players and so few spaces, it’ll be interesting to see how the forward side of the roster pans out when the Canucks regular season begins on October 7.